Seemingly only appearing at the most inopportune times, Windows users have for years endured the sudden arrival of a blue screen with white text declaring that the their computer will soon reboot. This error, known colloquially as the "Blue Screen of Death" (BSOD) may seem dire, but users may be able to fix their malfunctioning PCs without taking it to a computer repair location. The current form of the BSOD features a message that says, "A problem has been detected and Windows has been shut down to prevent damage to your computer." The user is then provided an error location and code, which he or she can input online or enter into the Microsoft website to determine the specific nature of the problem. The newest Microsoft operating system, Windows 8, will feature a kinder, less daunting BSOD. This version gives the user a blue screen with an emoticon sad face and a message that says, "Your PC ran into a problem that it couldn't handle, and now it needs to restart." It also provides a much simpler version of the aforementioned error code. 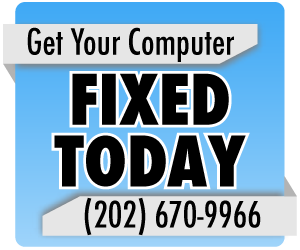 The BSOD is sometimes the result of a hardware problem, which likely requires the assistance of a professional repair service. But many BSODs are caused by a random access memory (RAM) deficiency, which some users can remedy on their own. Users should first verify that the memory is compatible with the computer before installing it. 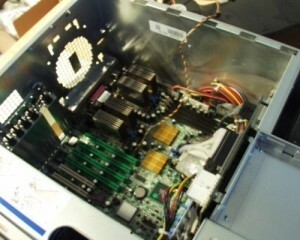 If so, users may need to refer to an instruction manual to determine where the RAM slots are located on their computer. From there, a screwdriver and perhaps some internet "how to" guides and videos are the only tools a user will need to install memory on their own. If users can't solve the problem, they should take their devices to a Washington, D.C. computer repair location.